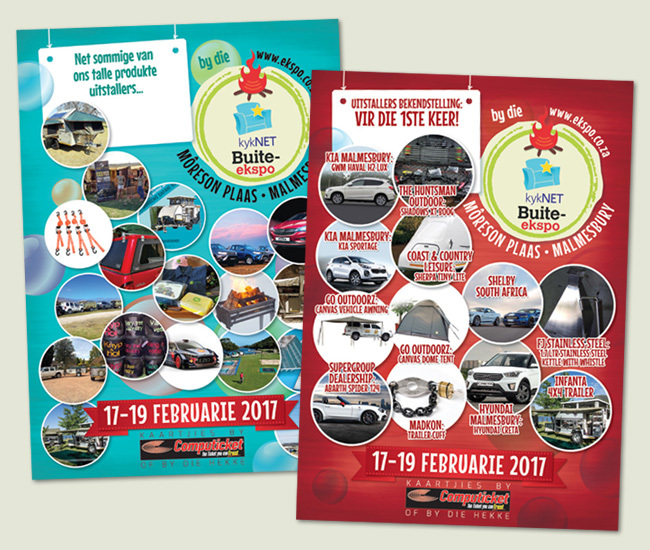 These are various ads and facebook post images created for the kykNET Buite Expo, which happens in February at Môreson Farm in the Western Cape. 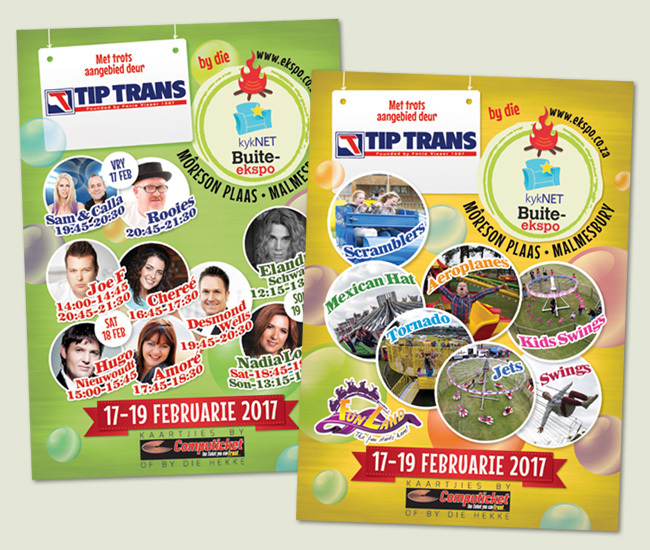 Above and below shows some of the flyers created for the Buite Expo. These are featuring the musicians who would be performing, the fun rides at the kids play park and various products which would be exhibited on the weekend. 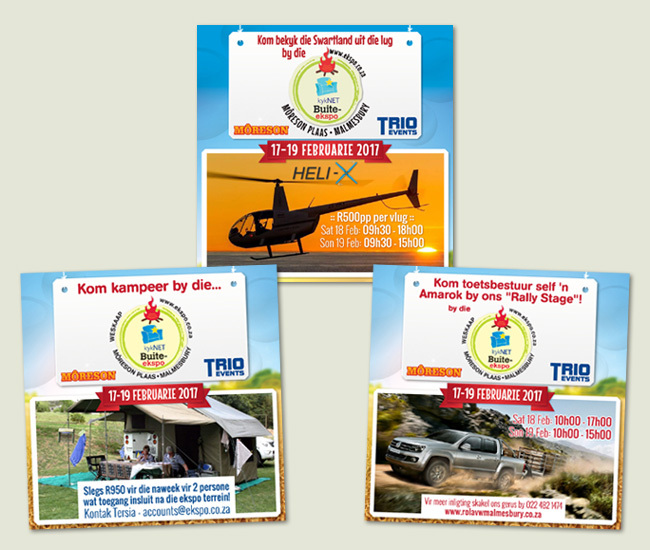 Below shows just some of the Facebook post images created for the many outdoor activities available on the weekend, which included helicopter rides, camping and 4×4 rally rides and test drives. 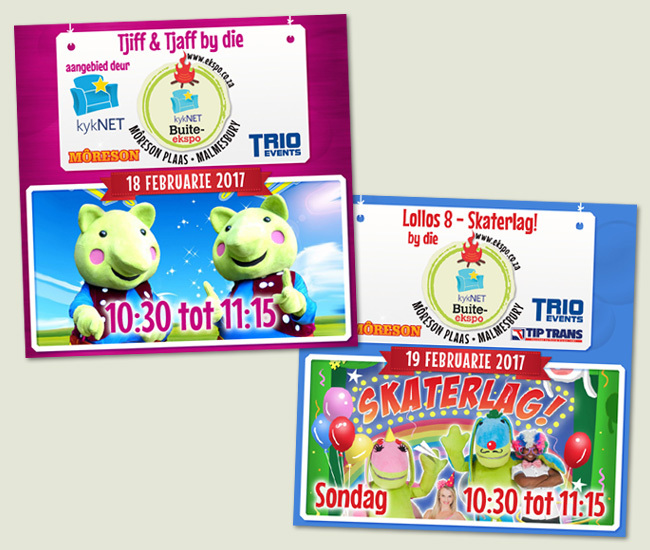 Below shows some of the kids activities for the kykNET Buite Expo, which included shows by the very popular Lollos and Tjiff & Tjaff. 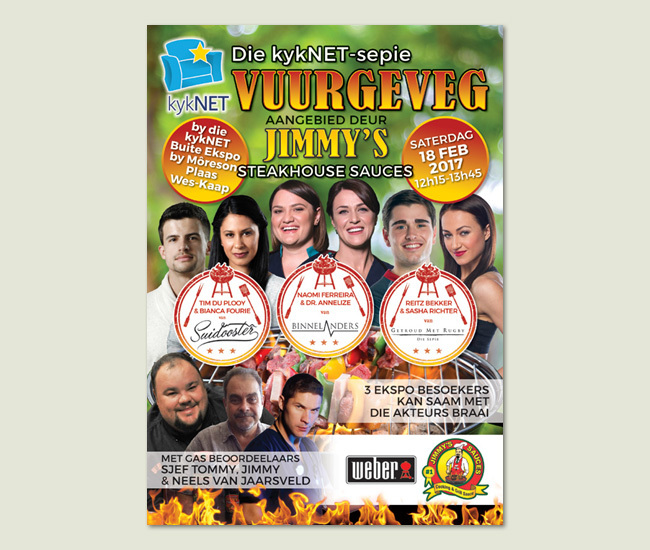 And last, but not least is the flyer design for the kykNET-sepie Vuurgeveg, which in english is the kykNET Soapie Braai Challenge (sort of) where actors from three South African soap operas compete at cooking something on hot coals as is our South African tradition. Just a note that I did not design any of the logos seen here so I’m only responsible for the layout designs. The client had a very specific brief and requested the soft pink colour and the mannequin and scarf so I presented her with a few designs for the logo and after one or two options for the graphic she approved. Above shows the Facebook Cover Image and e-mail signature as well as the little logo used as the company Profile Pic. 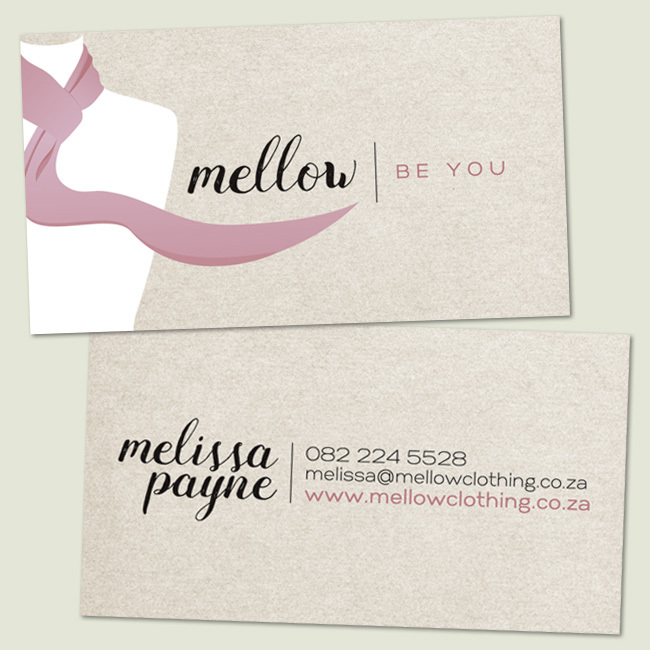 Below shows the owner’s business card design. 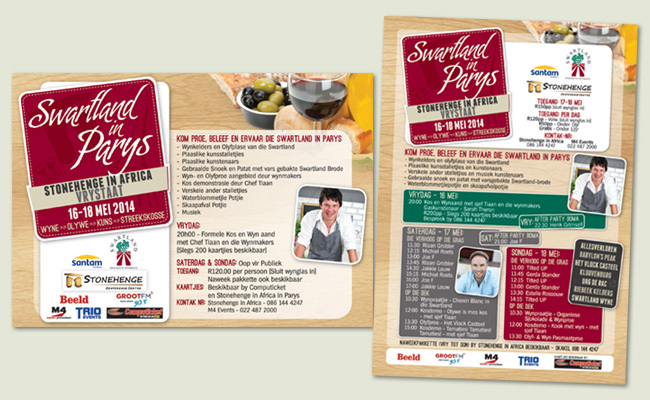 It is 90 x 50mm and printed in full colour on both sides on a matt stock. 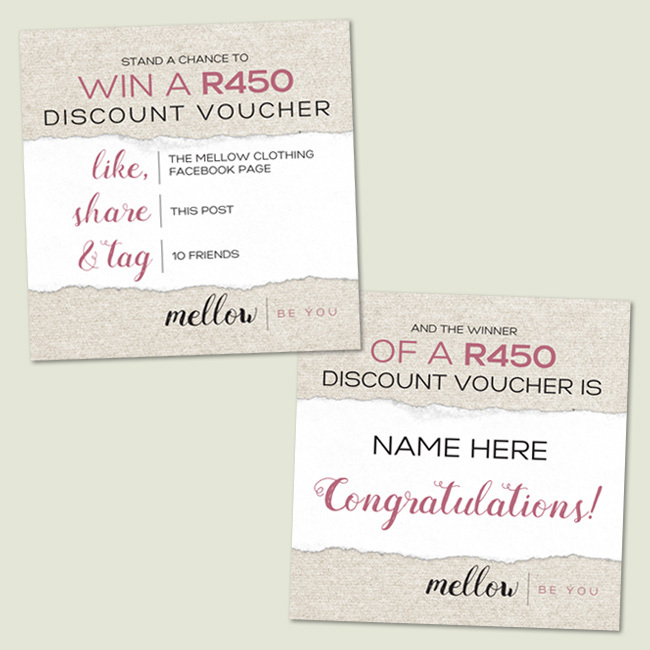 And below are images for a recent Facebook competition. This is the range of wine labels I’ve designed for Wildehurst Wines. The original ‘badge’ was painted by an artist for the owner and I recreated it in vector format and added the Schnauzers, Aloes, the bottom scroll and a few other elements. The Velo range of wines uses an image of the owner’s husband as a young man with one of his best friends and their Velo motorbikes. Below is the newest addition to the range, which is the 2016 Chenin Blanc Méthode Cap Classique. 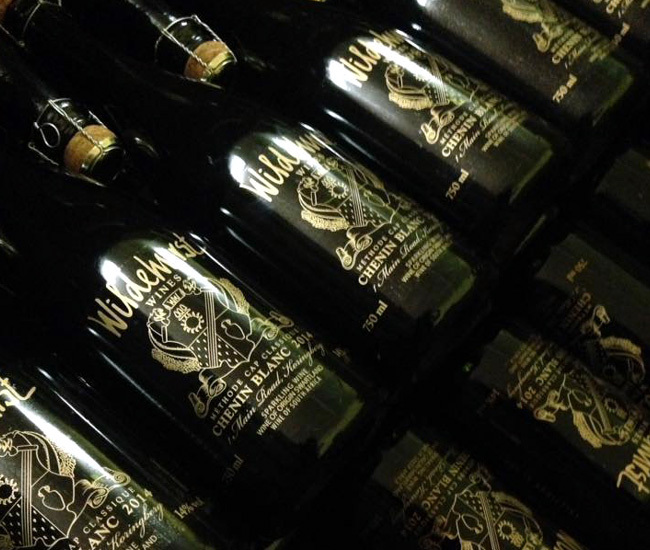 Above is a shot of the bottles on the production line – all shiny and new! We did metallic gold on a clear adhesive label to give the effect of clear glass. The neck tag repeated the gold on a black background – a very classy finish. Above shows some designs created for some of M4 Events & Promotions in 2014 and 2015. We’ve come a long way together since I designed their logo way back in 2008 – when they were still known as M4 Artist Management. Hetta Saunderson still manages many talented South African artists, but now also does event management and promotions from start to finish. 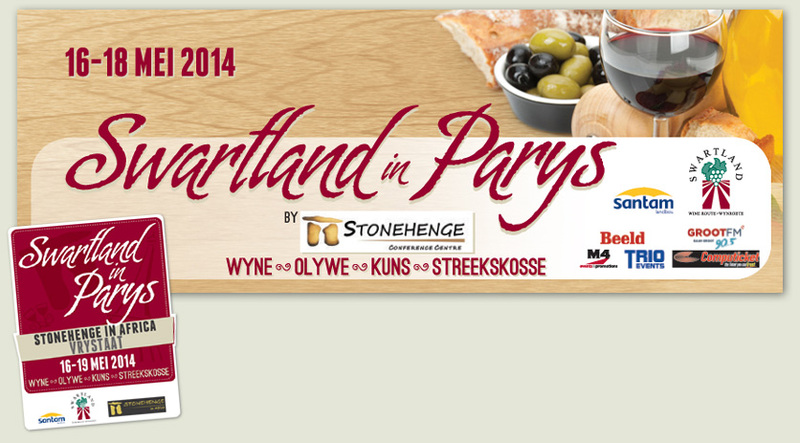 They are still based in Malmesbury, but now manage various fantastic events throughout South Africa too. Below shows a different format for a Facebook post created for Tiaan Laggenhegger of Kokkedoor, Koekedoor and Makietie fame. 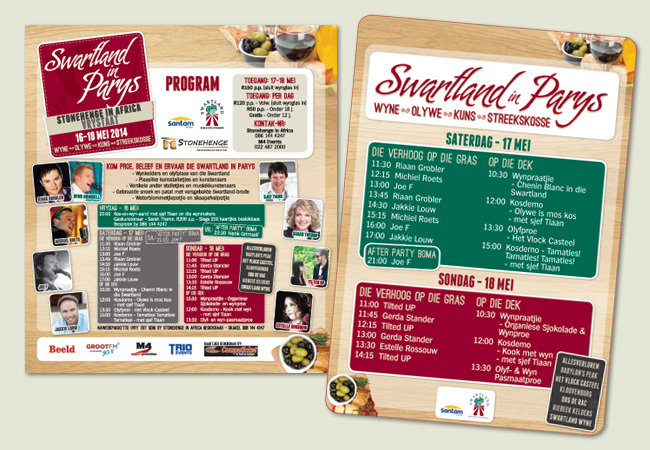 Then also an A2 poster design for him and in the middle one with Tiaan and Mynhardt Joubert, who won Kokkedoor 2013 and hosted Makietie on kykNET as Tiaan’s cooking partner. Mynhardt also has a brilliant new cafe in Paarl (called Jan Willem & Seuns se Hoekwinkel) which is well worth a visit and they can both be booked for cooking demonstrations and other occasions by contacting M4 Events. You can find them all on Facebook. 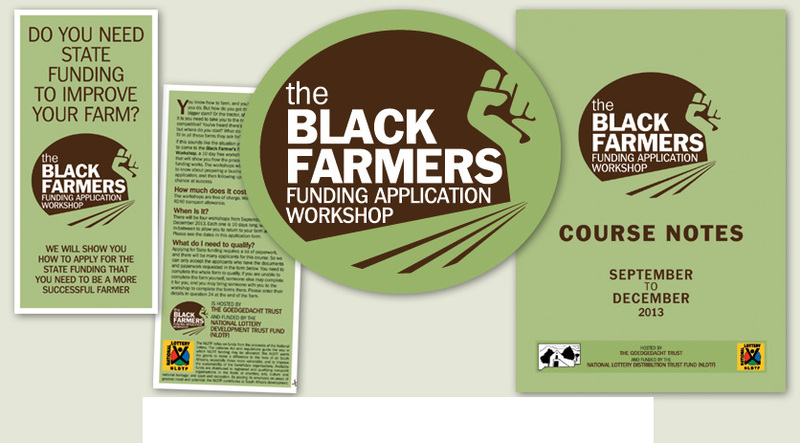 The Black Farmers Funding Application Workshop is an initiative of The Goedgedacht Trust near the Riebeek Valley in the Western Cape. I created a logo design in two colours as well as a DL flyer, which included a form to fill in to apply to be part of the workshop. I then also designed the Workshop Course Notes and a sticker to go onto a folder cover. 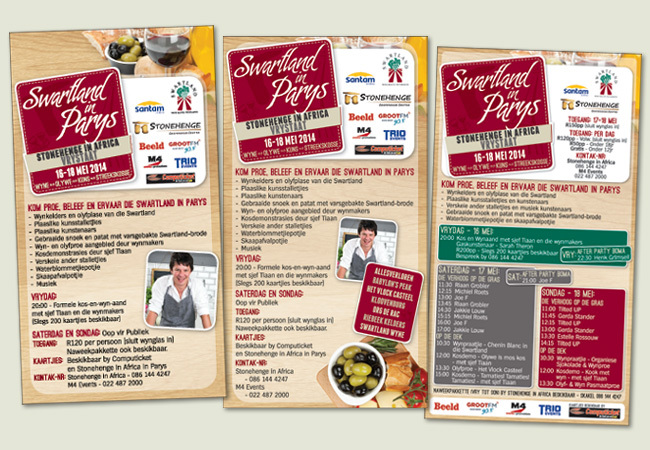 The flyer and course notes were created in both English and Afrikaans. 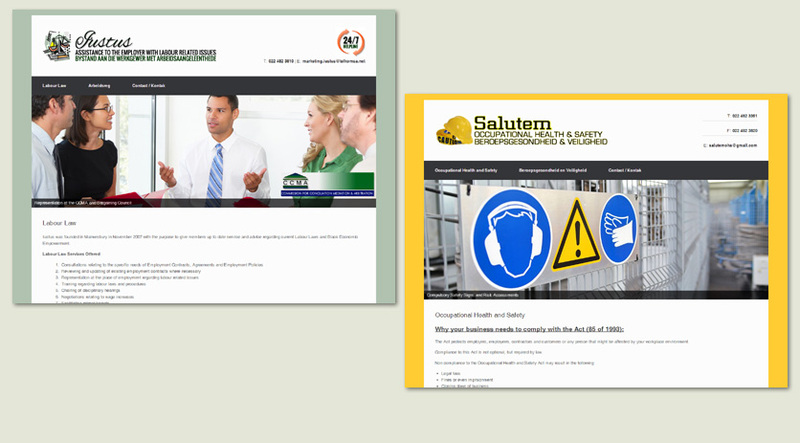 This website was completed for Iustus Labour Law in Malmesbury. The company is situated in Malmesbury. This was one of my first WordPress websites for clients and I think they were quite happy with the results. More to follow!